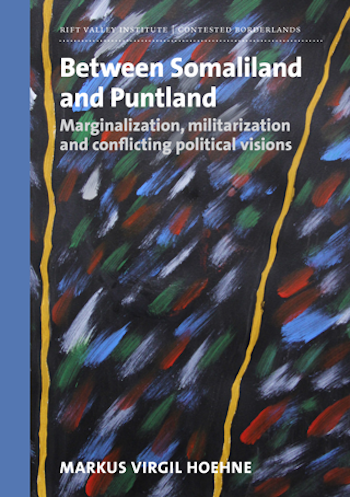 Between Somaliland and Puntland analyses the political evolution of the Republic of Somaliland (created in 1991), and the federalist Puntland State of Somalia (established in 1998). Based on extensive ethnographic research, it describes the efforts by those living in between the two polities to create their own autonomously governed states. Markus Hoehne provides an account of the political history of the region, the actors, the grievances and the aspirations that lie behind their competing political visions. It is here, he argues, that “the future political order of the Somali states will take shape. Markus Hoehne is a lecturer in social anthropology at the University of Leipzig. Between Somaliland and Puntland is based on work he conducted while at the Max Planck Institute for Social Anthropology in Halle/Saale, Germany. His other publications include Somalia zwischen Krieg und Frieden: Strategien der friedlichen Koniliktaustragung auf intemationaler und lokaler Ebene (2002) and a volume co-edited with Dereje Feyissa, Borders and Borderlands as Resources in the Horn of Africa (2010). The author has also published on this subject in the journal Development and Change. The book has been reviewed in African Affairs.